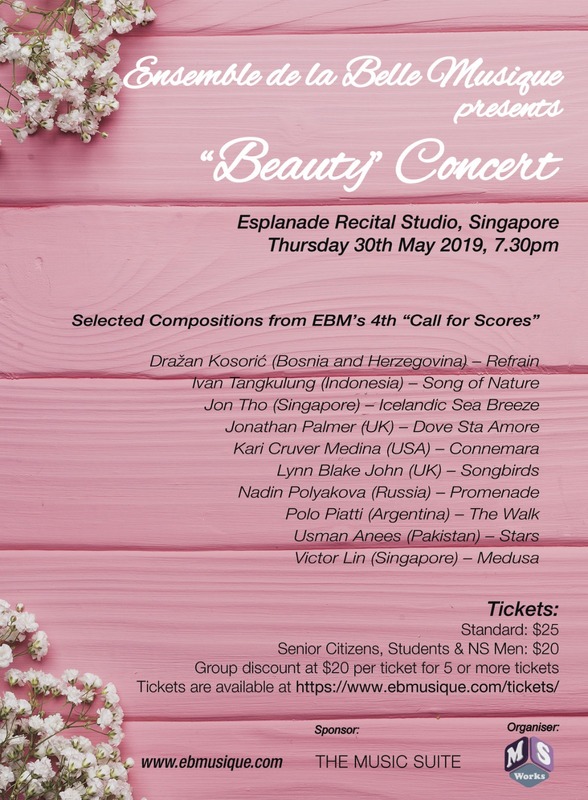 Following three very successful sold out concerts, we are pleased to present our 4th concert, “Beauty”. 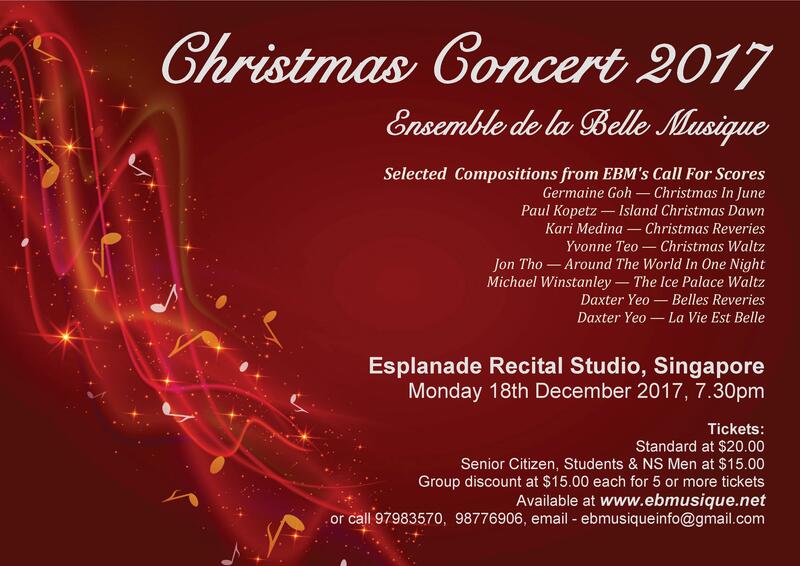 This concert will feature 10 melodious and tonal original works written in various styles, so you can expect to hear an array of pieces with contrasting moods, colours, character and formations. 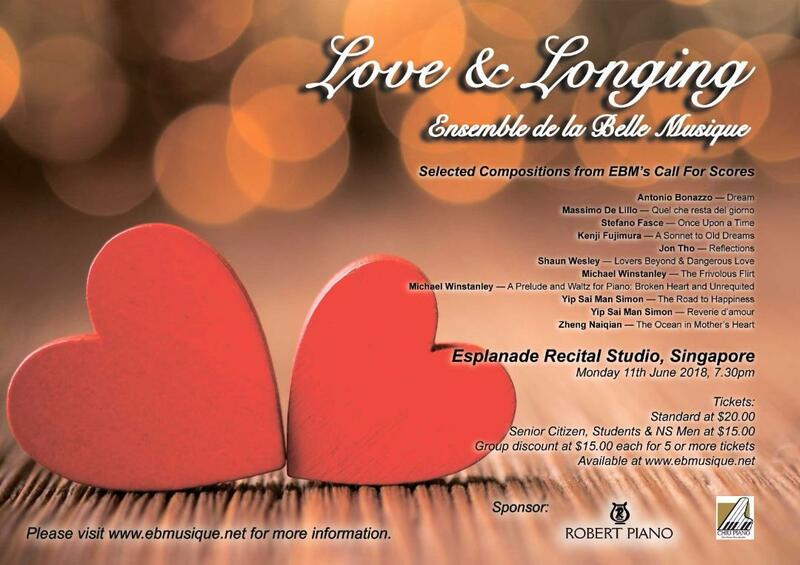 Do please join us in this unique concert where you will be the first to listen to these lovely works. 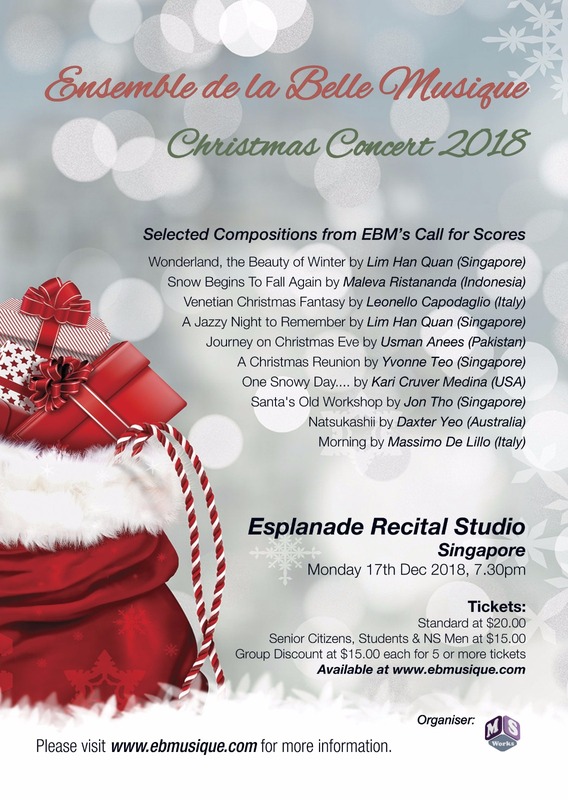 Please click HERE for purchase of tickets.